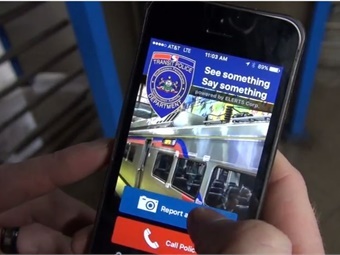 The Southeastern Pennsylvania Transportation Authority (SEPTA) and ELERTS Corp. announced the launch of a mobile app that enables riders to discreetly report security or safety issues to SEPTA Transit Police in less than 20 seconds. Incident reporting: including photo/video, a description of what is being observed, and the GPS location of the problem. Discretion: riders may choose to send reports anonymously and a rider’s smartphone flash is automatically turned off when taking a photo. Two-way communication: SEPTA Police dispatcher may ask questions or provide instructions to the rider. BOLO alerts: “Be On the Look Out” messages may be sent to riders, regarding a person of interest being sought, such as a missing person or a criminal suspect. SEPTA Transit Watch can also be used by customers with old-style flip phones by using “Text A Tip,” which allows them to reach SEPTA Transit Police with a simple text message. Additionally, the mobile safety app provides a new way for the deaf and hard of hearing community to communicate with SEPTA Police. The app also includes visually-impaired functionality.